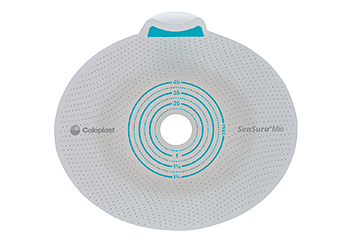 The SenSura Mio Click baseplate, by Coloplast, is part of a two-piece appliance with a coupling that features an audible click to give you confidence that the barrier and pouch, when firmly pressed together, are secure. This baseplate has an elastic adhesive and is separate from the pouch, so you can change your pouch without changing the baseplate. 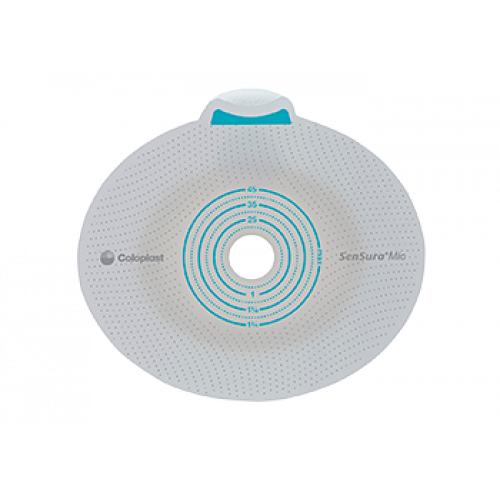 Mio Click baseplates work with drainable, closed, and urostomy pouches. 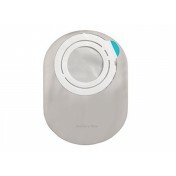 Rotate the pouch to your desired position before locking it into place to accommodate your body's natural position, so you can easily and comfortably adjust, sit, or stand and empty the appliance without having to remove the baseplate. Because of the elasticity of the adhesive, the Mio Click can stretch and retract with your natural movement and maintain a secure fit. The stretchable textile material is soft and provides low friction against your clothing. 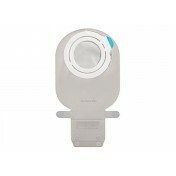 To maximize simplicity and discretion the Mio Click is available in transparent gray and with color-coded coupling systems up to 70 mm (2.75 inches) in diameter. 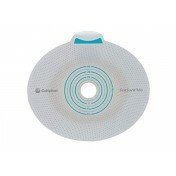 The new full-circle filter has a pre-filter that is designed to reduce ostomy pouch ballooning. 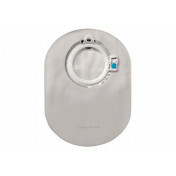 The full-circle filter clogs less frequently, so it lasts longer making it easier to live in confidence. 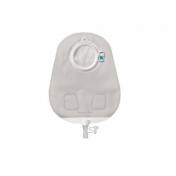 The filter is proven to reduce ballooning by up to 61%.